Vector image set of many different wings. Illustrations of body parts of insects, birds, bats and other flying creatures. 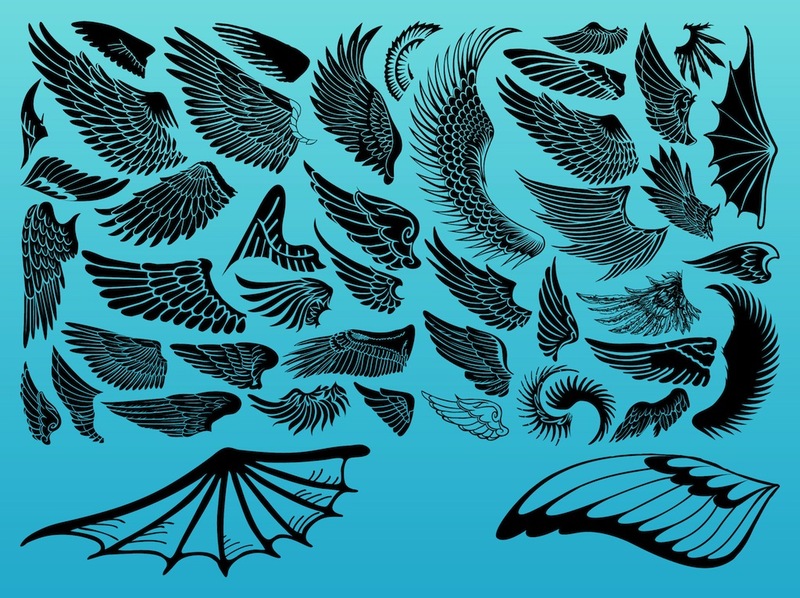 Free vector wing set for all flying, animals, wildlife, sky, zoology and fantasy creatures design themes. Minimal wing outlines in vector format. Visible feathers and anatomy details.